A popular dance session for 6 – 10 year olds, with an opportunity to take part on either a Saturday afternoon or a Thursday evening. Work on posture, ballet positions and new contemporary ballet material. 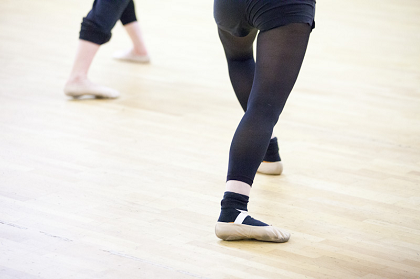 Dance with props, learn pas de deux and synchronised formations to a variety of music. Ballet Attitude Elevate is run by resident performance artist Natasha Stott.